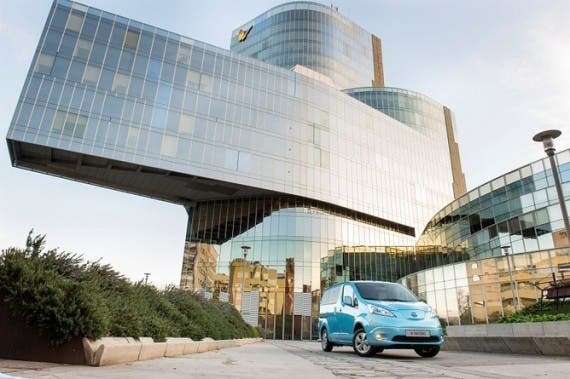 The Amsterdam-based company Taxi Electric will be the first private taxi company to add Nissan’s new model, the e-NV200, to its fleet, according to a recent press release from the company. Taxi Electric is expected to receive its new 100% electric Nissan e-NV200 taxis sometime shortly after the model’s launch this summer. The company likely won’t remain the only one using the new model for long, though, as the city of Barcelona (where the e-NV200 is being manufactured) has already signed a memorandum of understanding with Nissan to promote the model as a taxi. The combination of Nissan’s innovative zero-emission technology, in the form of the 100-percent electric Nissan LEAF, and Taxi Electric’s ground-breaking city transportation model have been a recipe for success since the start of operation in 2011. Now the two companies have teamed up again to build on this success and take the next step forward by introducing the game-changing all-electric Nissan e-NV200 taxi this summer. Amsterdam-based Taxi Electric operates a fleet of 25 Nissan LEAF vehicles. It was the first private taxi service to switch to a fleet of 100% electric taxis in 2011. The Dutch company’s fleet of Nissan LEAFs has now amassed a trouble-free 1.5 million km in taxi operations – proof of the electric vehicle’s high quality and reliability.